ROAD TOWN, Tortola, VI – With much conversation around Breast Cancer Awareness during the month of October, most are unaware that the month also marks the start of Domestic Violence Awareness activities. According to a press release from the Government Information Service dated, October 5, 2018, persons advocating against domestic violence are being urged to put action to their words. Gender Affairs Coordinator, Ms Tara-Sue Morgan in providing some statistics said in 2017, there was a sharp decrease in domestic violence reporting with only 150 cases versus in 2016 where the figures were a higher 237 cases reported in the territory. However, Ms Morgan warned that the decrease statistics does not mean that the situations are not occurring, but rather, persons may still not be coming forward especially since the Territory’s vulnerable state from the 2017 disasters. The Coordinator said they intend to engage community partners to heighten local awareness, “The Family Support Network and the Cancer Society will heighten the awareness of healthy relationships throughout the Territory” the release states. Ms Morgan stated that the Office of Gender Affairs is currently educating the public on healthy relationships and will work with the agencies responsible for reporting or handling domestic violence cases. “Domestic violence awareness sessions will be held in secondary schools throughout the month. Additionally, information fairs are scheduled on October 12, 2018, at the National Bank Virgin Islands and on October 19, 2018, at Scotia Bank of the Virgin Islands in a joint venture with the BVI Cancer Society” the release notes. In addition, the Office of Gender Affairs will collaborate with the Family Support Network for a Family Fun Day on October 27 at Queen Elizabeth 11 Park, with a ‘Paint the Town Purple’ event scheduled on October 31 to end the month’s activities. The public is being encouraged to come out in purple as a symbol of unity at ‘Paint the Town Purple’. 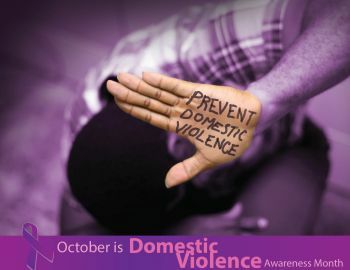 This year’s Domestic Violence Awareness month is being observed under the theme, “Domestic Violence Awareness+ Action = Life Change". This blog ain’t about anyone being locked up. It’s not about a fight or anything ratchet and that’s why no more than 3 comments will be on this blog. I’m swear to all God People around here are extra Special! Many are suffering in silence. DV is a huge problem in this society and elsewhere.